We opened our shop in the spring of 1991 with Carla & John Penfield (Colleen’s mom & stepdad). 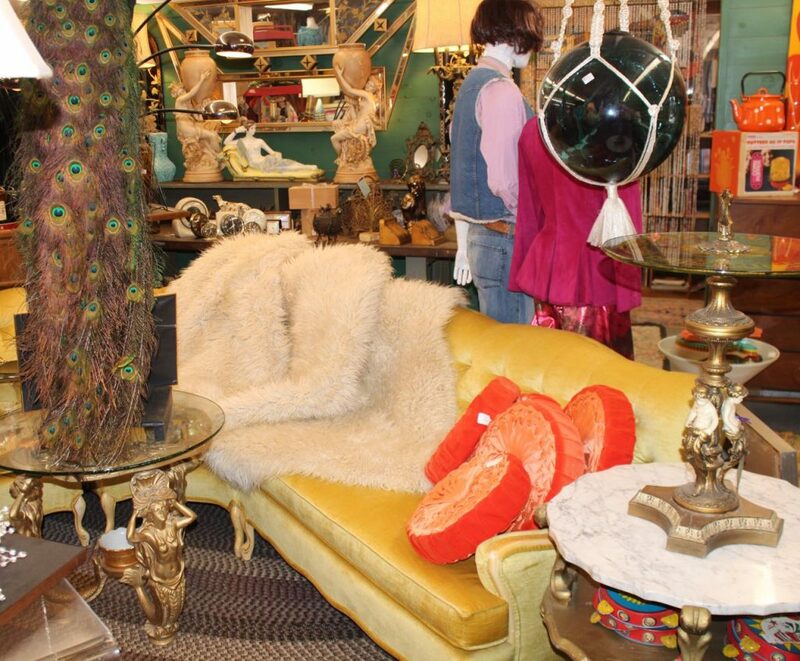 We started as a Saturday “barn sale” in the original attached barn (about 800 square feet on two floors). 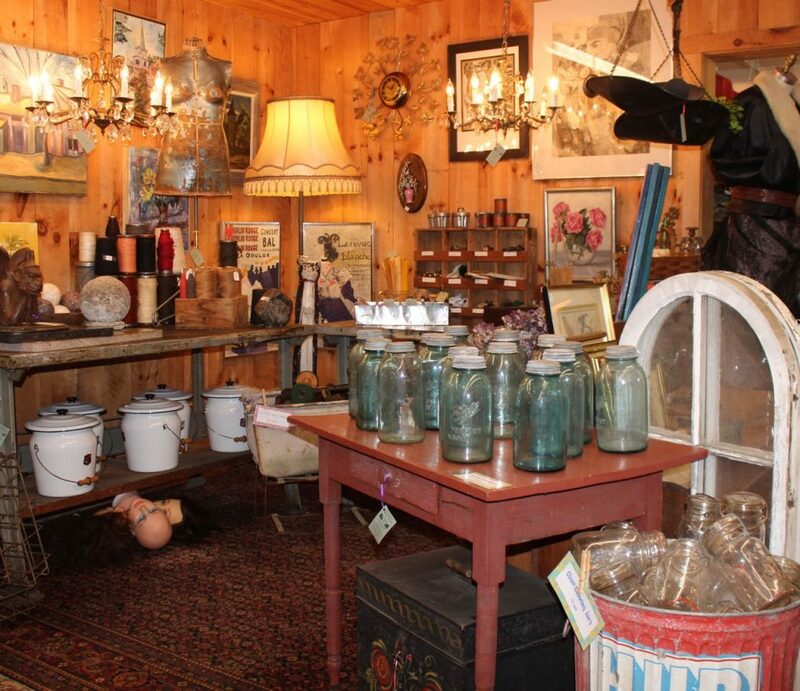 Since that time, we’ve expanded to become one of the largest antiques shops on New Hampshire’s Antique Alley. The main shop is now more than 3200 square feet and our new 2-story barn offers an additional 2000 square feet of inventory. About 5 years ago, Colleen & Don bought Carla & John’s share of the business and have taken it in a new direction. 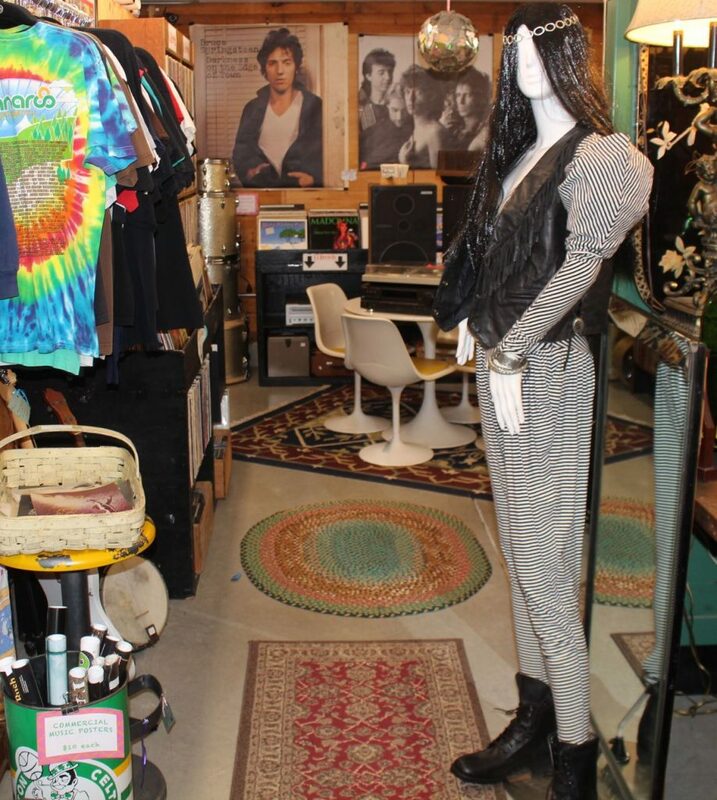 In addition to traditional antiques (early furniture, historical items, ephemera), Butler’s inventory has grown to include mid-century furniture & accessories, records & music memorabilia, vintage & antique clothing, and architectural & garden antiques. Though many things have changed, one thing remains the same—we continue to be a family-owned shop. What does that mean for our customers? 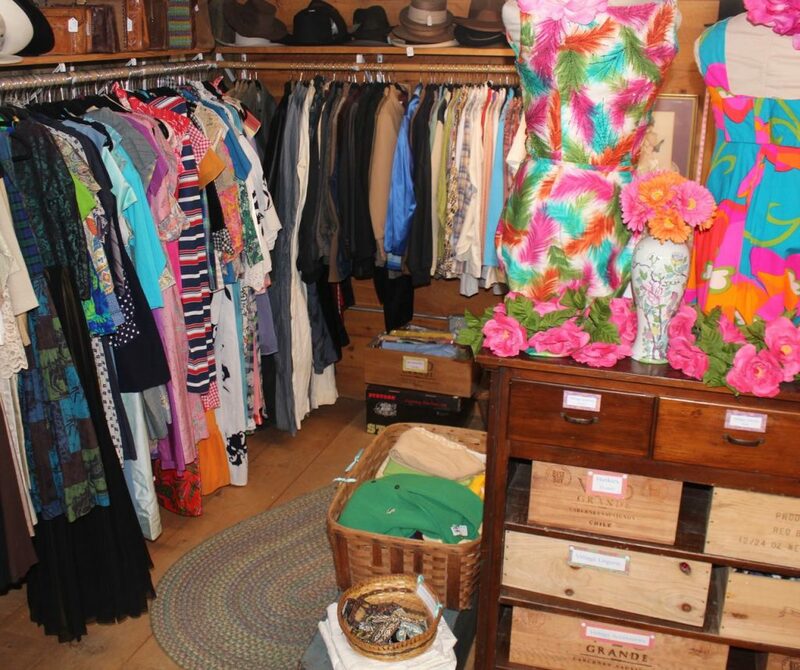 Quite simply, we own all of our inventory and we are the shopkeepers. So we can provide information about our inventory, we can negotiate pricing based on cost, and we can provide local delivery on larger items (and we can coordinate out-of-area delivery & shipping for visiting customers). The barn holds larger inventory including architectural salvage (windows, doors, mantles, shutters), lighting (chandeliers, industrial, floor lamps, desk lamps), large & small furniture (chairs, tables, trunks, shelving, book cases, desks, cupboards, armoires, sideboards, dressers, beds), and large decorative pieces (signs, large taxidermy, farm equipment). 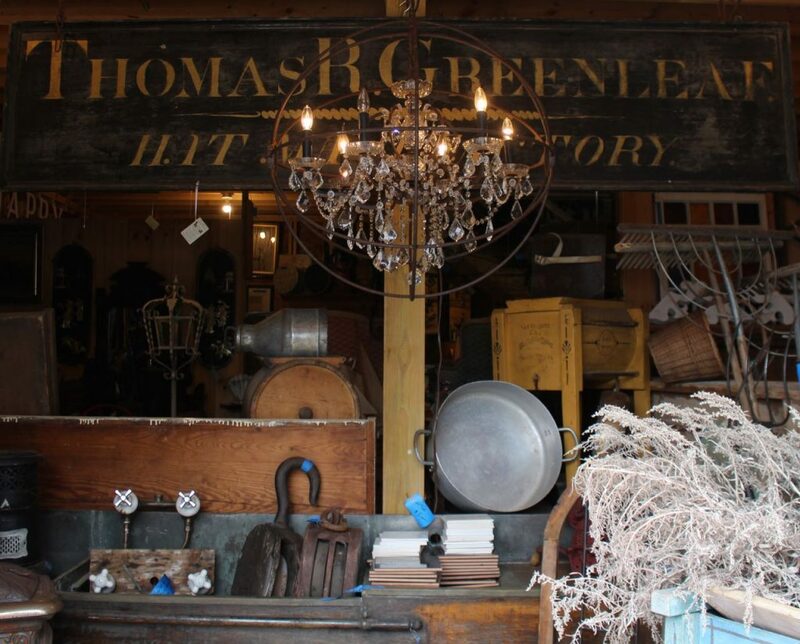 Our outside garden area is where we display our cast iron urns, cement planters, trellises, wagon wheels, iron fencing, gates, statuary, patio furniture, and other interesting items for outdoor spaces. 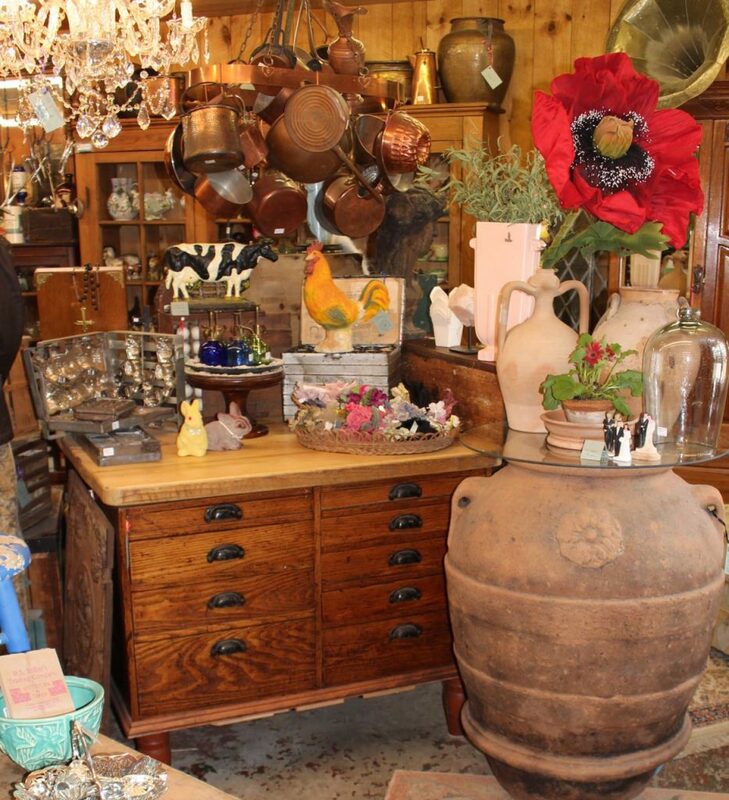 The main shop is also filled with furniture (mid-century chairs & tables, antique armoires & harvest tables, cupboards, chests) but “smalls” dominate the space. 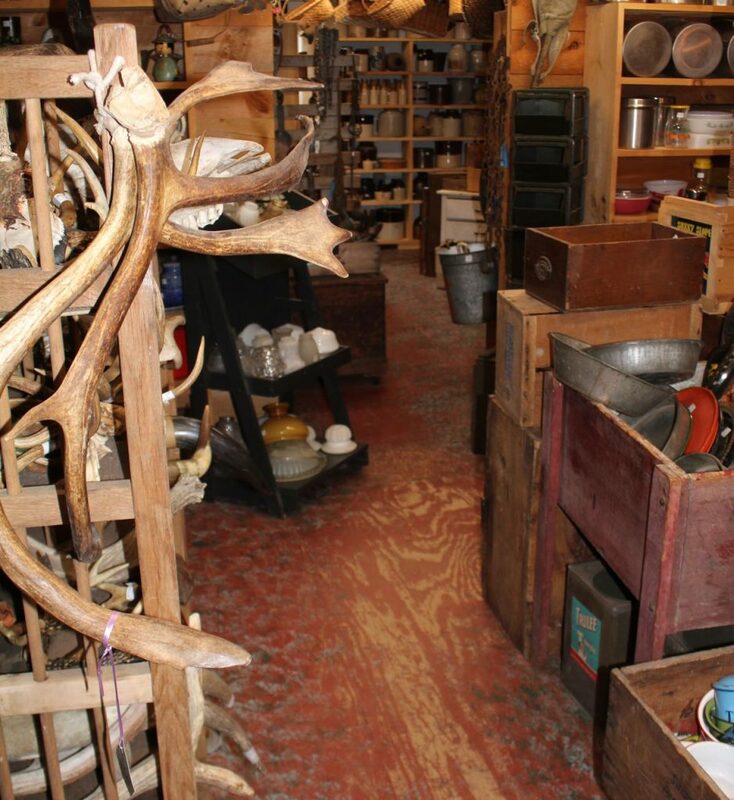 The main shop is where you’ll find antique tools, books, antique & vintage clothing, “mantiques” (hunting, fishing, military), pottery & glass, country & kitchen collectibles, textiles & sewing items, and the infamous Record Room (check our Wingo’s link for more information on our records & music memorabilia). 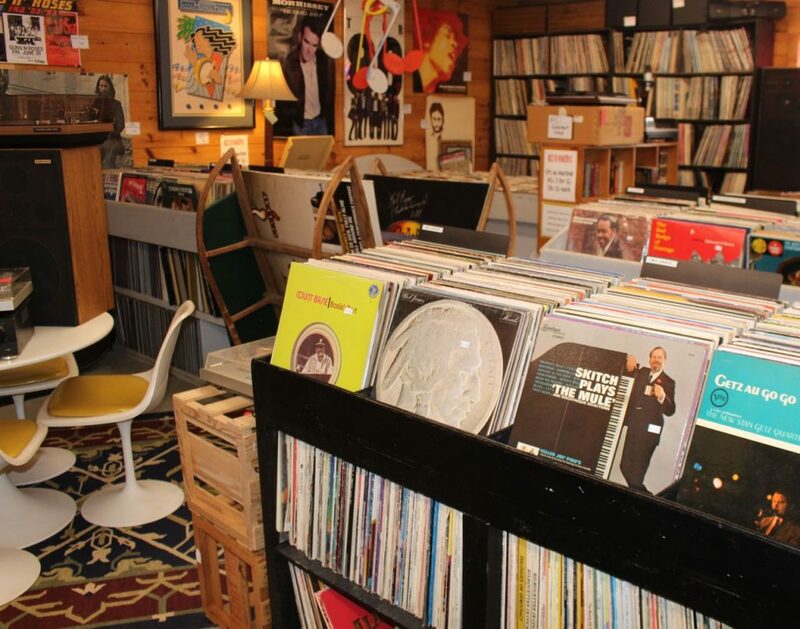 Hours: Open 10-5:00 daily (year-round). Closed major holidays.